So I'm not in the best of blogging moods at the moment but thought I'd start the obligatory showing of vacation pictures. We had a fabulous time in New York where we found vintage stores, out of print books, Japanese dolls, a swing band in the park and the best Chinese food in the world (well, except for maybe in China itself). Toot shopped at the finest stores (not me, I didn't have the money), I treated myself to a pair of Barbie roller skates, we ate dinner with ninjas and discovered some priceless family heirlooms. All of that will be explained in further detail later but for now, let's start with the heirlooms. As I've mentioned before, my mother-in-law is Australian. Her and Chris' dad are planning to retire there one day and as they still live in the Bronx apartment Chris' grandparents bought in the 1940's, a lot of his grandparents stuff is still there and they can't take it all to Australia with them. At one point, my mother-in-law came to me and said, "Hey, would you want this box?" 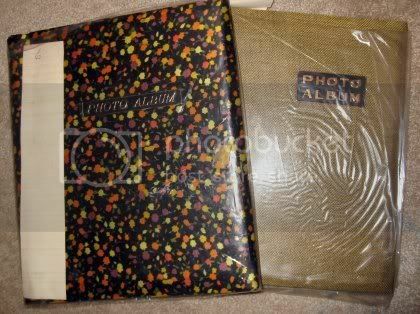 11 picture albums to be exact and 3 bags of misc pictures and cards. I believe they came from one of Chris' great aunts who has passed. 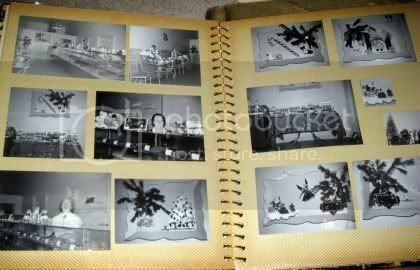 Now typically, these types of albums will contain pictures from the 70's and 80's, which I was fine with as long as it was family pictures I could rescue out of these picture eating albums. As far as I can tell (because I still haven't been able to fully investigate them yet), there are some pictures that date back to the 1920's. The unfortunate thing is that they are not marked and the details of who the majority of these people are has been lost. But I will still make sure to archive them all for future generations anyway. So there it is, New York Part One! I will fill you in on the rest of our adventures as soon as I can get my pics off the camera! Thank you for all of your sweet comments while I was away, I really appreciate it! Wow, all that stuff is so amazing! I love the book of etiquette, they're so funny to read about now. The old books are wonderful too, I love books new and old. Lovely post! Can't wait to hear about the rest of your NY fun! How fantastic! I'm so glad these family treasures landed in your hands. I know how much you appreciate these sorts of things and you will keep them safe until it's time to pass them along to the next generation! 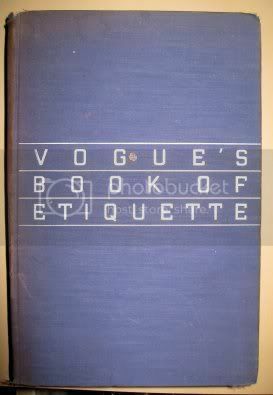 What stunning memorabilia - especially the Vogue etiquette book. That's priceless!! So glad you had such an enjoyable - and eventful - time in the Big Apple!! PS Thanks once again for the lovely comment over at my place! Whoa - what a haul! Great stuff! Wow. Very nice assorted gifts they gave you :) I know you must be thrilled and thankful they were so generous and thoughtful. kinda sad most guys don't were these much anymore. 1st of all,I recently heard about a Ninja resturant there and if it is the same place you ate at,I AM SOOO JEALOUS!! 2nd,I totally know what it's like to go thru those kind of items.No one, I mean NO ONE in my hubbys family is into vintage.But they,well my mil never threw anything out.So everything my fil has me to go thru with him,he says"if you don't want it, get rid of it" lol. I have lot of stuff,more than I can shake a stick at.Eventually I'll grab some photos and post them. Have a blast in NY!! Oh wow Maggi...these are fabulous! I really love your fav. pair of cuff links - those are just divine! You have a lot of work ahead of you...with all the photo sorting...hope you are greatly inspired! Can't wait to see Part 2 of NY! oh maggi! what treasures! absolutely beautiful! thanks for taking the time to share! That is so hot!! I just went to the "junque" store this weekend and got a bunch of postcards, some books, and a doilie and napkin. I have very few heirlooms. Some post cards, and pics and fabrics. I will archive them someday too, but for now, I want to get other people's stuff, so I can play with it!! Awesome stuff for you. Very lucky girl!! Take care, and see you soon. That is so awesome that you have all that stuff!!!! Look at all those treasures. 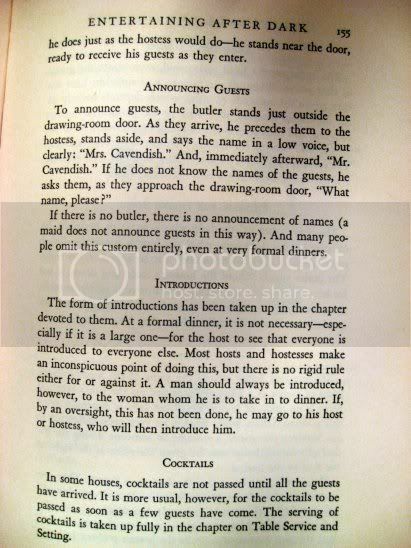 I love old etiquette books! Oh! Maggi! 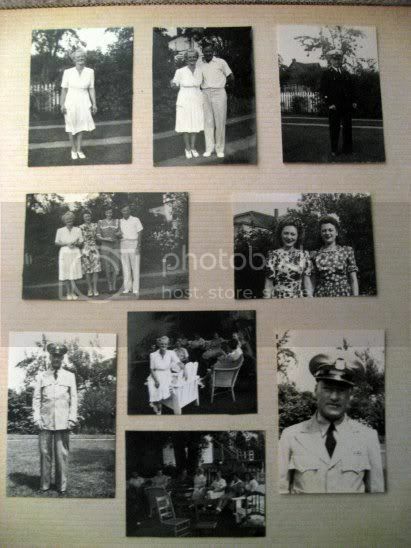 Ilove looking at vintage any thing...esp old photos, even if they are not even my family! Wow, Chris' grandfather must have been a dapper dude! Thanks for sharing all your treasures. Wow! What treasures! I would so turn those cuff links into earrings. The photo albums are true treasures. Amazing goodies...so glad that you are home!!! rest up!!! Hi Maggi! Oh I've been gone for so long! I hate this! I have been without my computer for a month now. It broke, I sent it in to get fixed, it was gone for 2 weeks, then I got it back last wednesday. Well it's still broken! It's even worse than it was before! I plugged it in, turned it on, and right before my very eyes I watched Windows crash and freeze and that was the end of that! So I fought with the company for several days and finally monday they agreed to have me send it back at their expense to get it fixed AGAIN and this time they are telling me they'll have it for 3 to 4 weeks!!! Theyw ant to make sure it's not going to crash or anything else when I fianlly get it back again. So I am borrowing my moms laptop right now but I can't get on often until I have my won computer again. I'm so bummed. I haven't scrapbooked since June, I've lost my mojo for everything without my computer right here next to me! I can't wait to have it back again. Anyway, love all the goodies you got! 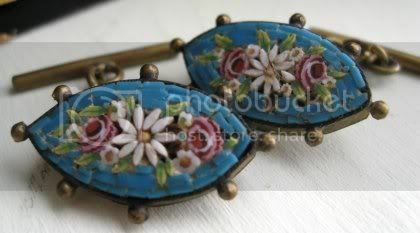 I LOVE LOVE LOVE vintage! I'll be back a/s/a/p! Welcome home!! You are so lucky...all of those fabulous goodies and they are full of family memories, not stranger memories. You scored big time in the the big apple!! 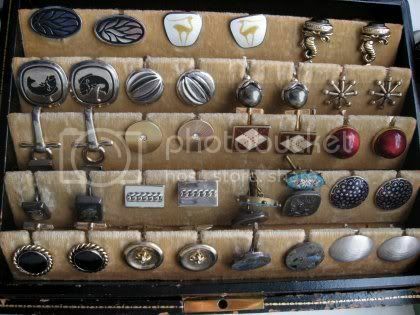 Love all the cuff links and tie pins as well as the paper treats...SWEET!!! Can hardly wait to see more pix!! Wow Maggi, you sure came home with a lot of treasures! Those photos are a wonderful find! And the cufflinks and tie pins oh my! I hope you share with people why you aren't in a blogging mood, I think it needs to get out there, but that's totally up to you. Anyhow, I am glad you are home and finally posted. I missed you girl! What totally awesome memories. It is so special to have these things but kinda sad at the same time - sniff! Sniff! HEY CHICK - I saw you won the Purple People Eater stash - YOU GO GIRL!!!! Holey moley WOW!!! 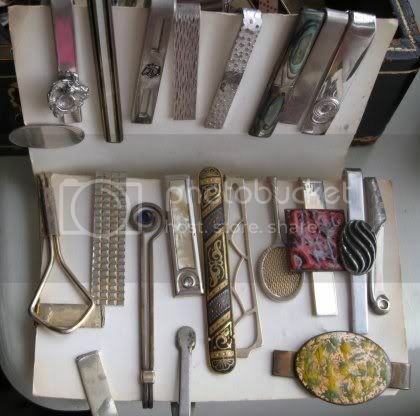 Those are some FANTASTIC vintage, personal, family items. 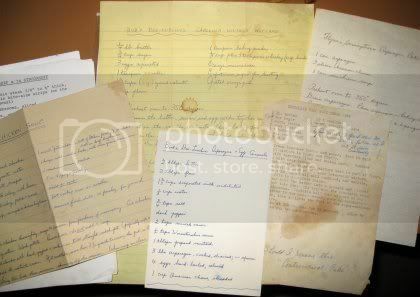 I think my favorite are the handwritten recipes. What a treasure for you to pass down to your Toot! But, the Vogue book, the tie clips, the class rings, and the PHOTOGRAPHS!!! Oh, OH MY! :> What a fantastic haul to bring home! 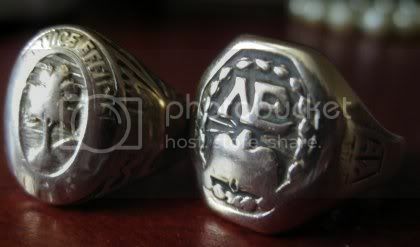 Those class rings are just amazing! I would love to wear something like that- so neat! And I always look for those vintage etiquette books, they are so fun to read. This is truly an incredible one in a million moments. There are lots of avenues to try and identify some of the photos when you get around to it. At least in some states there are . I cannot believe all the treasures ,all the family history. I do hope they will mail you the stuff you did not have room to travel with . Oh I am so excited ,this is really going to be great fun as you rest and regroup and have a go at sharing . Welcome home sweetie pie . I needed some cheering up and this sure helped . Thank you for the awesome post. 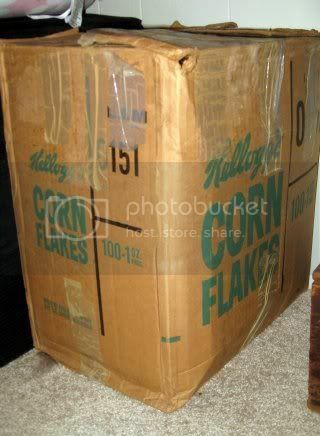 Wow you lucky girl, look at all that great stuff you go to bring home! Have fun exploring and researching! My goodness but you *are* brilliant for your age! I am so proud of you, you weave a good story yes you do! There's a future in wirting for you-just like your mommy goddess, who i just love love love to pieces! Please post again-but maybe dont lets knock out mommy next time kay? just tell her to share the keyboard love! !